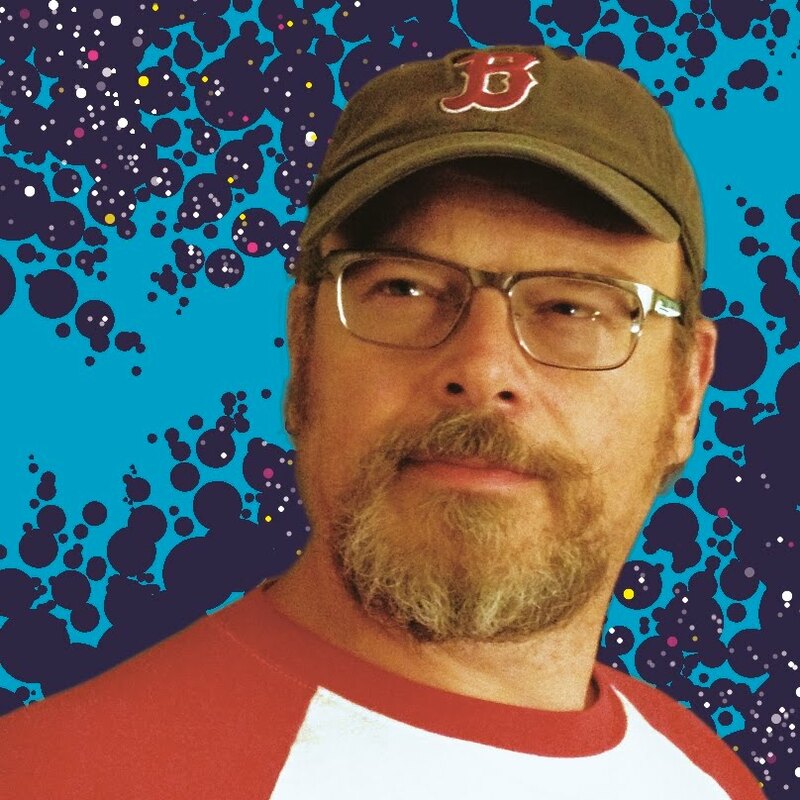 Jon Bogdanove is an American comic book artist and writer. 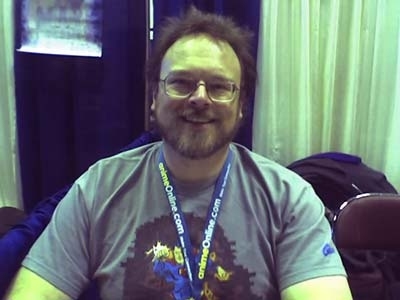 Born on May 7, 1958 in Albany NY, he is best known for his work on Power Pack, Superman: The Man of Steel and for creating the character Steel with writer Louise Simonson in 1993. As a child, Jon Bogdanove grew up watching the George Reeves “Adventures of Superman” TV Show. He so loved Superman that he imitated his hero by running around the neighbourhood with a towel tied around his neck. Jon would even jump off of his neighbour’s carport into piles of leafs. It was this enthusiasm for Superman and for Jack “King” Kirby’s work on his Forth World Operas that got Jon at the age of 13 to start drawing. With that, the path that would led him to work in the field of comics had begun. Flash forward to Jon meeting Judy and moving to New York where he would go to the School of Visual Arts for 2 years. After leaving the school Jon decided it was time to launch his career in comics mainly because he and Judy were expecting the birth of their son, Kal-El Bogdanove. So in late 1985, while Jon was trying to figure out how to get into comics, Judy deduced that the parents in one of their favourite comics, Power Pack, were based on comic book writers Louise and Walter Simonson. That being the case, then they probably lived roughly where the Power Pack lived which was only seven blocks from them and that they could call them. Judy then did just that and before Jon could react he was talking to Walter Simonson on the phone. After explaining why they had called, Walt spent the next forty five minutes telling Jon the theory, practice and best advice for breaking into comics. Jon then used this advice and after making an appointment went to Marvel comics where Jon made such an impression that he immediately got a job. Jon's first work for Marvel Comics was Alpha Flight #32 in March 1986. He then became the regular artist on Power Pack as of #22 in May 1986 and would draw that title for the next four years. Jon also collaborated with writer Chris Claremont on the Fantastic Four vs. The X-Men limited series in 1987 and with Louise Simonson on the X-Terminators series the following year. In 1991, after being head hunted by Mike Carlin, Jon Bogdanove began drawing for DC Comics. He, Louise Simonson, and editor Mike Carlin launched a new Superman title, Superman: The Man of Steel — which Jon would draw for nearly eight years until #85 in Jan. 1999. He contributed to such storylines as "Panic in the Sky" in 1992. That same year, Bogdanove and Simonson (along with Carlin, Dan Jurgens, Roger Stern and others) were the architects of The Death of Superman storyline, in which Superman died and was resurrected. It was during that storyline, in The Adventures of Superman #500 in June 1993, that Louise and Jon introduced their character Steel (minus his armor). Steel graduated to his own title in February 1994 which was co-written by Jon and Louise for several issues. Jon would also co-write Steel’s first annual with his wife Judy that same year. Steel would go on to be in his own feature film starring Shaquille O’Neal in 1997. The Bogdanove-drawn Superman: The Man of Steel #30 in Feb. 1994 had a variant edition packaged in a polybag. The logo and all cover copy were printed on the bag and vinyl clings (similar to Colorforms) were included for a do-it-yourself front and back cover. In other words it had various stickers of Superman and Lobo in various positions so that buyers of the book could create their own fight scene on the cover . Jon was also one of the many artists who contributed to the Superman: The Wedding Album one-shot in 1996 wherein Superman finally (after 58 years) married Lois Lane. He pencilled pages 21-23, 25, 26, 28, 30, 31, 34, 35 and page 80. After this, in mid 1998, Jon pencilled a Superman story set in the Holocaust of World War II. He did not do it in his own style though. Showing his artistic range he did the artwork in the style of Joe Shuster, who is fundamentally his number one Superman artist. This work showed the folks at DC Licensing that not only was Jon a great artist but he was also the perfect artist to do styled chameleon jobs. He started with doing licensed work for Golden and Silver Age styled art but also did Garcia-Lopez styled work. Jon did this for many years, all completely anonyms. After leaving the Superman: The Man of Steel title, Jon drew two intercompany crossovers for DC Comics: Superman & Savage Dragon: Metropolis (Nov. 1999) co-published with Image Comics and Superman / Aliens II: God War (May 2002 - Nov. 2002) co-published with Dark Horse Comics. Jon reunited with Louise Simonson for the DC Retroactive: Superman - The 90's one-shot in October 2011. Amongst his recent work, Jon shared the art chores for Batman ’66 Meets the Green Hornet #5 in October 2014 and drew the variant covers for Convergence: Superman - The Man of Steel in April and May 2015. Jon has also participated with his son, Kal-El Bogdanove, doing pre-visual spec work on assorted film projects including Hansel & Gretel (2006) and the Lady of the Isle television series. Jon was also an extra in an episode of Lois and Clark : The New Adventures of Superman. It was episode four, season one called I’m Looking Through You. He did this with several Superman writers and artist including Louise Simonson as well as Jon’s son Kal-El. Lastly Jon is the recipient of a Superman of Metropolis Award and a San Diego Comic Con Inkpot Award for Outstanding Achievement in Comic Arts for his many contributions to the comic book industry.